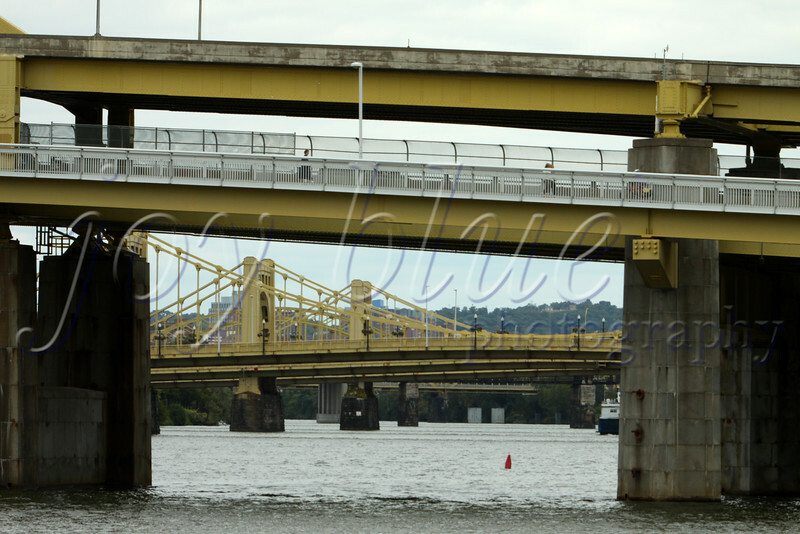 Three Sisters Downtown Pittsburgh—22 September 2014 Beyond the Fort Duquesne Bridge are the Three Sisters: very similar self-anchored suspension bridges named to honor important Pittsburgh residents Roberto Clemente, Andy Warhol, and Rachel Carson. I found the historical, engineering, and political background interesting. Check it out!